With Blackmagic Design DaVinci Resolve 9 Lite being free and a really powerful grading tool, many users are trying it out. It makes a great companion to Apple Final Cut Pro X and is really easy to move files between both applications via XML. Some however, are finding it performs really badly with AVCHD files. When you import AVCHD files, like those from the Sony NEX-FS100 / 700, FCPX creates ProRes Proxy files in the background. FCPX then uses those files in the timeline, so you are not actually editing with the AVCHD file but rather the proxy. When you export you project to Resolve, the XML is linked to the original AVCHD files (that are now in a Quicktime wrapper). While Resolve can read these files it is painfully slow. Too slow to be of any real use. 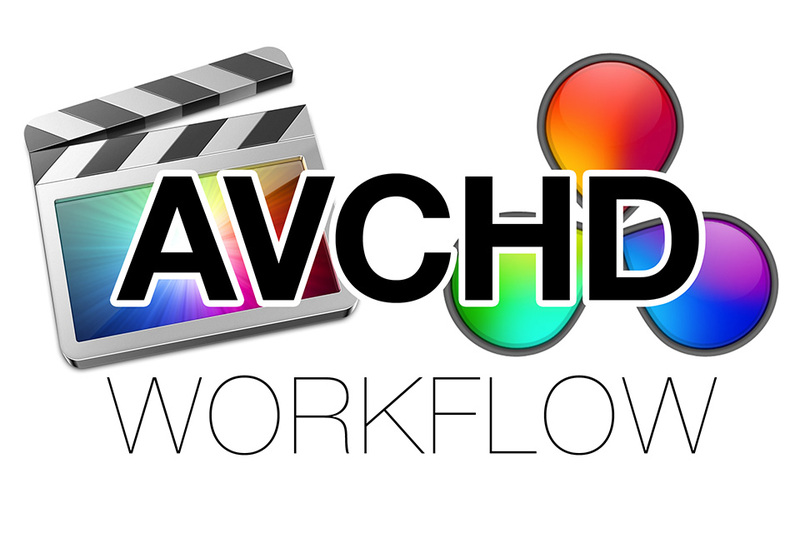 You can get a smooth working process in Resolve from FCPX with AVCHD though. In FCPX select your Event containing your clips. Select “File/Transcode Media…” and then select “Create optimised media”. Let FCPX do it’s thing. FCPX is now transcoding the AVCHD files to ProRes 422. Now export you project XML file. Now launch Resolve. In the Media panel browse to your Final Cut Events folder. Find the Event folder for your project, inside it you’ll see a folder called “Transcoded Media” in there you’ll find 3 folders, open “High Quality Media”. Select all the files, right click and select “Add to Media Pool”. Now move to the Conform tab and import the FCPX XML file and uncheck “Automatically import source clips into media pool”. Resolve will use the files already in the Media Pool, which are high quality ProRes 422 files, rather than the original AVCHD files. Things should run a lot smoother.